1) Do a soil test before you buy a single plant. You cannot know what plants to choose unless you know the basic information about your soil. Acidic or alkaline? Clay or sand? High percentage of organic matter or totally infertile? Some plants can be very particular about the soil they will grow in, while other plants may be more flexible. Most cooperative extensions offer affordable soil testing, with online instructions. University of Connecticut, University of Massachusetts, Rutgers University and Cornell University are some of the soil testing labs in the Northeast. Once you have the results, determine which plants will do well in your soil. Two good resources to utilize are The Lady Bird Johnson Wildflower Center’s native plant database and Cornell’s Woody Plants Database. 2) Reduce or eliminate your lawn. For our native wildlife, non-native turf is an ecological wasteland. Keep the lawn you really use and lose the rest. Whatever lawn you keep – manage it organically. Traditional lawn products with pesticides and fungicides can be quite toxic to challenged creatures like native bees. So how can you reduce your lawn? Start simply – extend your foundation beds outward, increase the size of your wooded areas, and create new plant islands in your lawn. 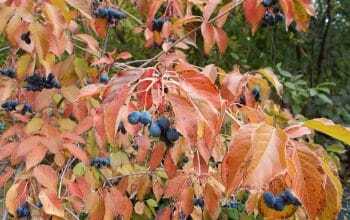 Plant these new areas with the native trees, shrubs and/or perennials that have evolved in our ecosystem. Evolution between wildlife and plant species really does matter. 3) Let biodiversity be your guiding principle – plant diversely. Bio-diverse landscapes have been proven to be more resistant to pests, diseases and extreme weather events. Climate change is a reality that we all live with. Now more than ever, bio-diverse landscapes are critically important, so please plant that way. A monoculture of plants may look beautiful, but the ecological value is very poor. 4) Skip the secret sauce – pesticides, herbicides, fungicides. A healthy landscape attracts and supports nature’s pet control – insects that are referred to as natural enemies, which help to keep pest insects in check. Scientists estimate that over 90% of the insects in an average home landscape are either beneficial or harmless. Instead of spraying, plant the native plants that attract and support natural enemies such as lady bugs, parasitic wasps, assassin bugs, lacewings et al. 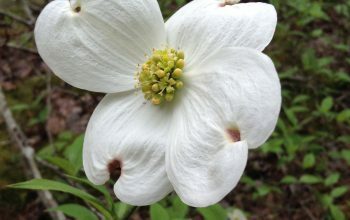 There are many such native plants in our region, including Yarrow, Golden Alexanders, Canada Anemone, Joe Pyeweeds, Asters, Goldenrods, and many more. 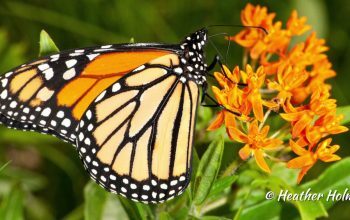 A healthy ecosystem will always have some damage – for example, butterfly caterpillars must eat the leaves of their host plants to survive. Focus on keeping nature in balance and enjoy the result – the richness of a landscape filled with life. 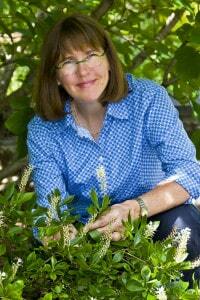 Happy spring gardening from Kim Eierman at EcoBeneficial! 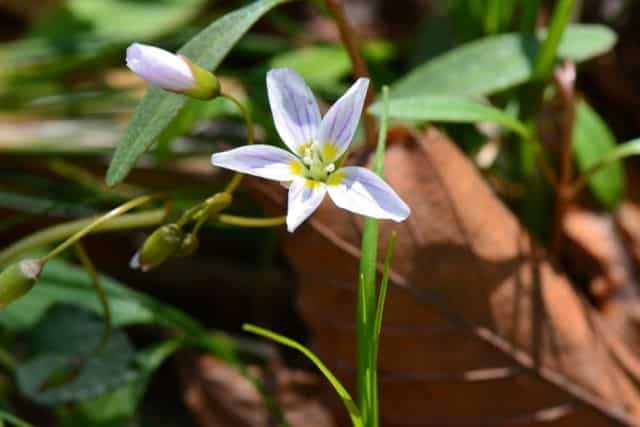 Photo: Spring Beauty (Claytonia virginica) – a spring ephemeral and a critical resource for the specialist bee, Andrena erigeniae.